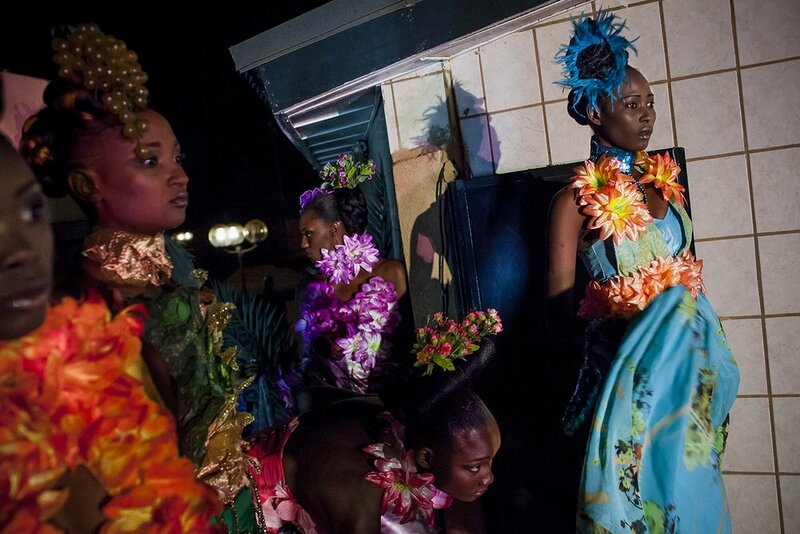 Can Fashion be a vector for development in a very poor country? Alphadi believed so 15 years ago when he founded the International Festival of African Fashion (Fima) in Niger, the country at the bottom of the list in the UN’s 2014 Human Developement Report. The first edition of this festival took place in Agadez in the open air of the Sahara desert. 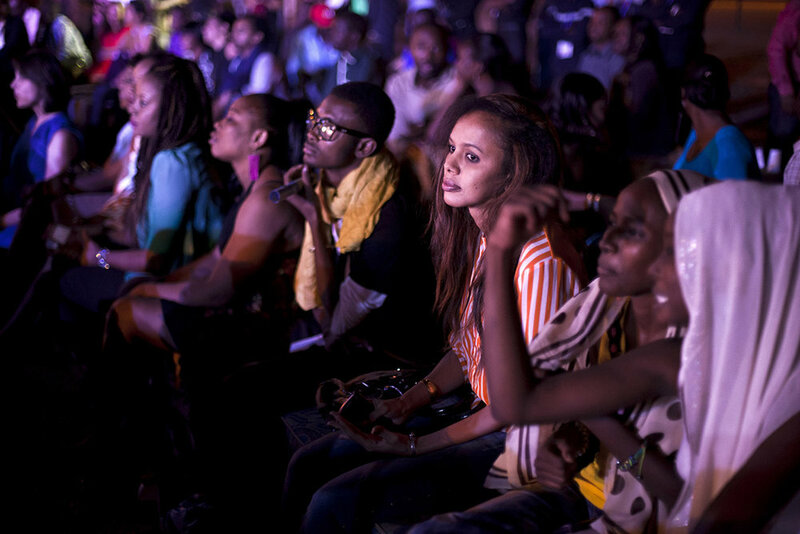 The 9th and last edition of the most important cultural event in Niger took place in a secure area of the country’s capital, Niamey. The reason for this unglamourous change is recent terrorist activity, including the kidnapping of 4 French men by a branch of Al Queda. Local police and the national army made special efforts to avoid any setbacks during this edition. Due to the growing islamization of the country this festival is seen by some sectors of society in Niger as morally unacceptable. On the other hand, Alphadi supporters believe that this fashion festival makes people from all over the world come to visit Niger and thus get to know this “forgotten” country and, above all, offers a unique platform to local people such as young models, designers and other related professions. "Creativity for Peace and development in Africa" is its motto. 2015 FIMA edition has been cancelled at the last minute for security reasons. Miriam (17) and Nadia (15) are sisters and share the same dream: to become a top model. They were born and live in Niger, which was ranked the last country in the 2013 Human development report by the United Nations. They come from a middle class African family. They study at an Evangelist private school and would like to go to the University. Modelling for them could be just a hobby although Miriam takes it very seriously since she was a little girl. Actually she begins to suffer from anorexia due to the image she has of top models. Nadia, on the other hand, was never too interested in modelling but due to the interest she has awakened in the local industry and the people around her, she is taking the possibility of a model career more seriously. 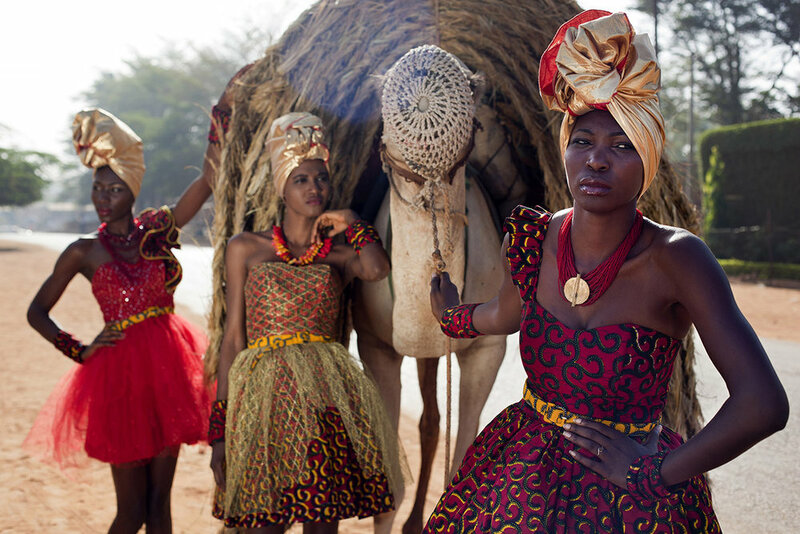 The International Festival of African Fashion (FIMA), founded by Alphadi, is the only platform that exists in Niger to start a model career and it is where they are taking their first steps into this world. Ahoua is a 23-year-old girl who started modelling 4 years ago. She is from Niger, which is ranked the last country in the 2013 Human Development Report of the United Nations. 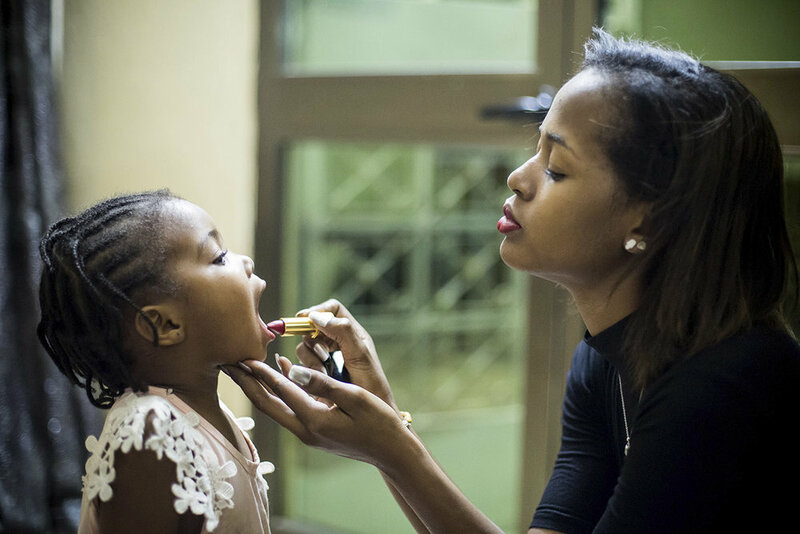 She has modelled for the second time at the International Festival of African Fashion (FIMA) in Niger, which is the only fashion event in the country. 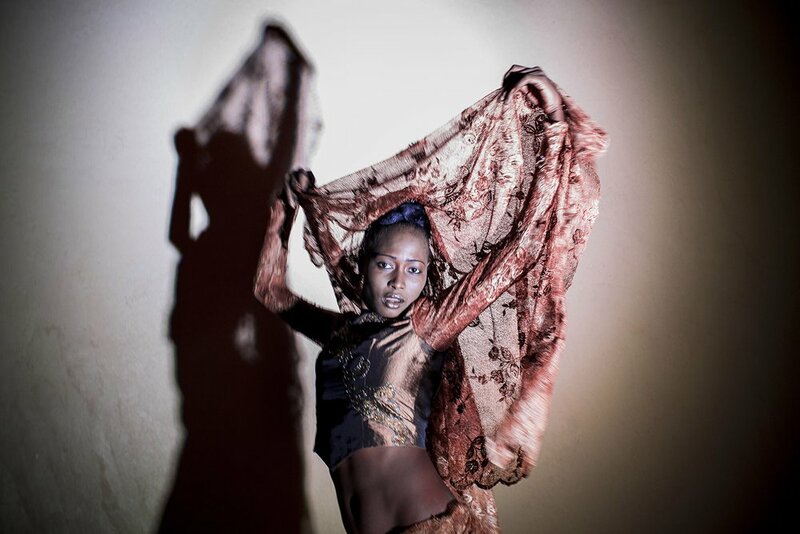 Ahoua makes her living modelling in different African fashion festivals and also working as a PP.RR in a disco called Diams, run by a Lebanese. She is the girlfriend of a French officer of the French Army that supports the Niger Army. She's not a prostitute. Niger is also facing a growing islamization in recent years. In daytime, a woman cannot dress in miniskirt, for instance. She also has to cover her hair. She may be insulted or even attacked if she does not. Thus, Ahoua, has two lifes. 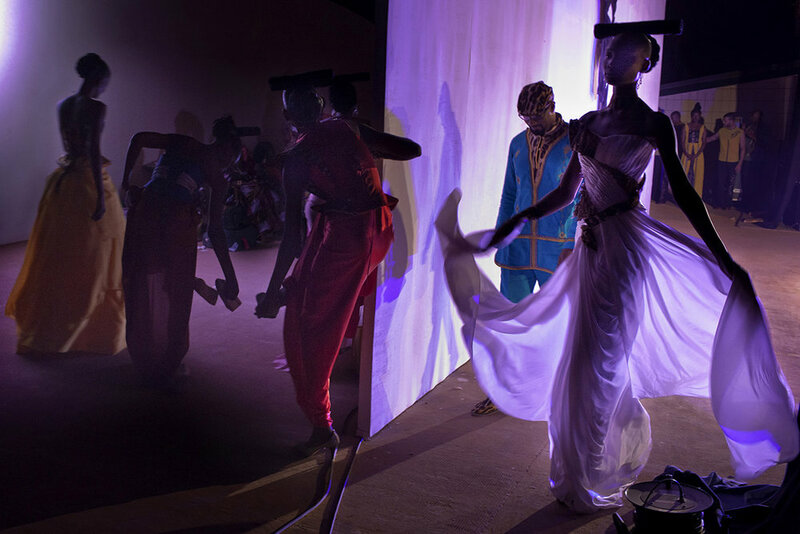 Alphadi's dream became a reality at the foot of the cliffs of Tiguidit on the edge of the Sahara Desert, where the first edition of the International Fashion Festival in Africa (FIMA) took place in 1998. 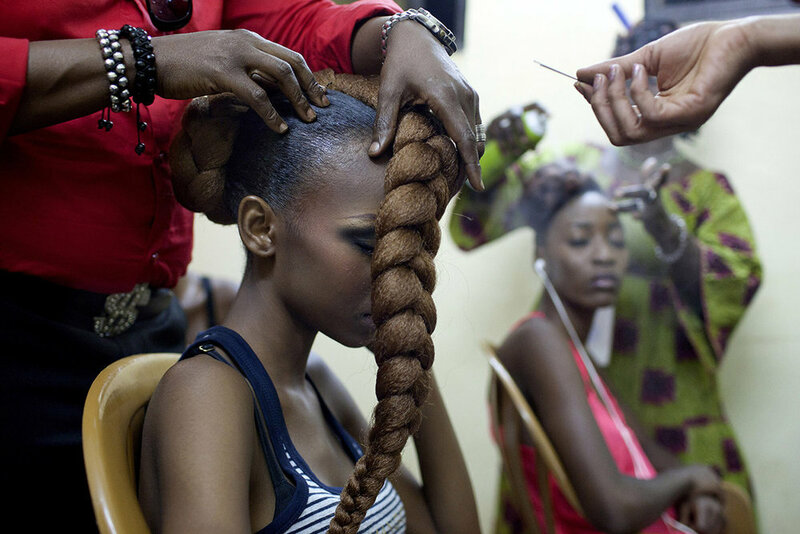 A festival of African fashion in heart of Africa to showcase the creativity and know-how of African designers and stylists. A dream of an Africa still in progress in the culture of peace and development. Since then the FIMA raises the problem of the need to create a large-scale African industry that is exportable to the North. Because of terrorist threats, FIMA has been forced to adapt its format, by changing the open spaces for closed and highly secure ones, such as the BCEAO's Air Center in Niamey in 2013. The 2015 edition was suspended, at the last moment, because the national army could not guarantee the security of the event. The 10th and last edition of the festival took place in Agadez, in December 2016, under strong security measures. His moto was "education and industry for an Africa of miscegenation and peace". This last edition took place at the same time as other cultural events like the festival Agadez Sokni, the Grand Marathon of Tenere or the enthronement of the Sultan of Aïr while trying to recover this city, heritage of humanity by UNESCO, for tourism, which has almost disappeared for 10 years because of the instability of the area where terrorist groups are quite active. This Niger Black Stage project, photographed in 2013 and 2016, has an implicit utopia. That of many young Nigerien men and women who want to succeed in developing their dreams in peace and freedom. Miriam and Nadia Abdou Salèye are sisters and share the same dream: becoming top models. 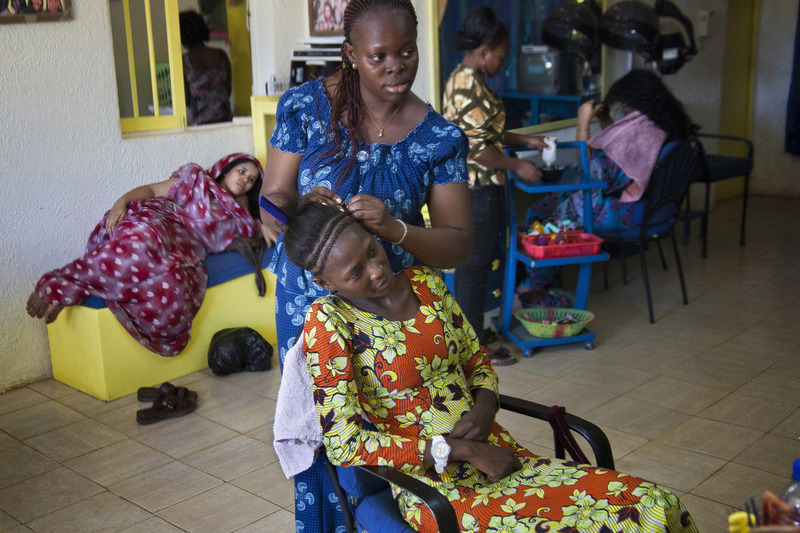 They were born and live in Niamey, the capital of Niger, which was ranked as the next to last country in the 2015 Human Development Report of the United Nations. 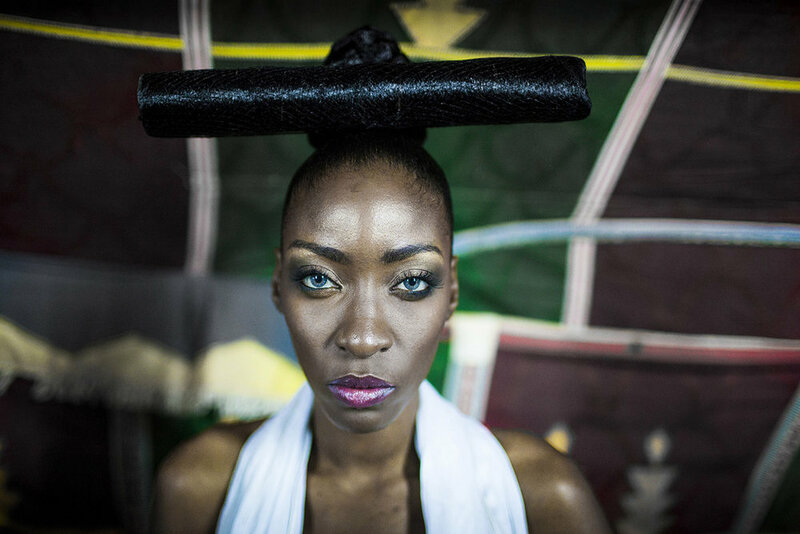 They come from a middle-class African family and studied at a private Evangelist school. Modeling could be just a hobby but Miriam takes it very seriously since she was a little girl. It was always his big dream. The two sisters began their modeling career at the end of 2013, with 14 and 16 years respectively, when they were selected to participate in the 9th edition of the International Festival of African Fashion (FIMA), founded by Alphadi. 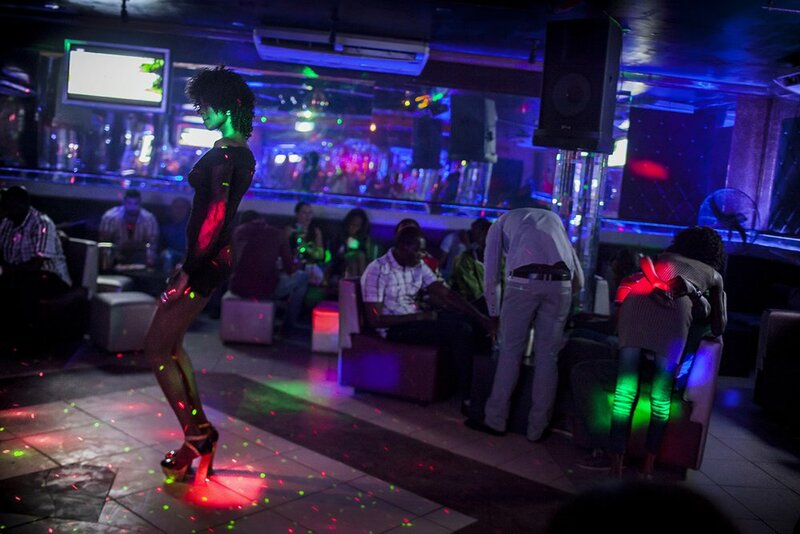 This international event is practically the only existing platform in Niger to start a modeling career. This photo essay contains images from November 2013 and December 2016.